Do you need to justify social media efforts to company leaders? Do you want to know exactly what impact social media has on your business? In this article you’ll discover how SAP North America created a process that shows them exactly how social media is touching millions of dollars in potential business. SAP is a global leader in enterprise-level software and services. They have nearly 67,000 employees globally, and over 15,000 in SAP North America. They service 25 different industries and 12 lines of business with enterprise software. 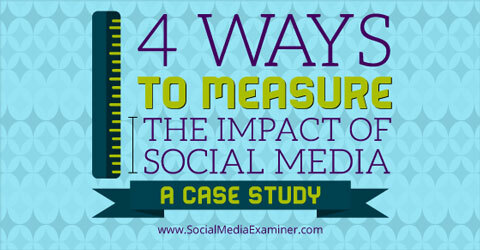 Read four ways to measure the impact of social media in this case study. They started their social media presence in 2010, originally contracted to four to six outside agencies. By 2012, executives had been investing in social media for three years, but they didn’t have a good picture of what it was doing for the company. At SAP, deals may run from six figures to the $50 million range and take two to three years to complete. With so much riding on each sale, executives wanted to know if social media was having an impact. The problem was that each agency was using different tools, different strategies and different reporting methods. “It was like apples, oranges and carrots,” said Nick Robinson, digital channels manager for SAP North America. It was impossible to tell what social media was doing for the company as a whole. So in 2012, SAP made a strategic decision to bring all social media in-house, starting with SAP North America. They wanted to put a process in place that would ensure everything was trackable using the same metrics. They decided to focus first on lead generation. Social media can be used for many different purposes, but the new team knew they couldn’t tackle everything at once. Lead generation made sense, as digital marketing was already focusing on it. 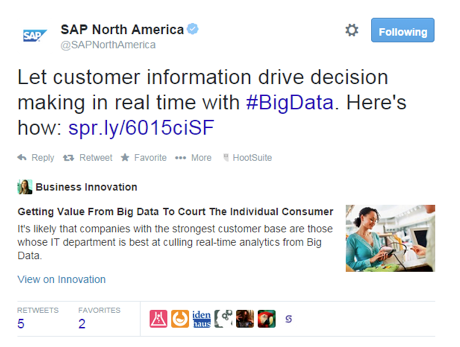 SAP uses Twitter to drive traffic to a blog post. The URL is coded so SAP knows it came from Twitter. 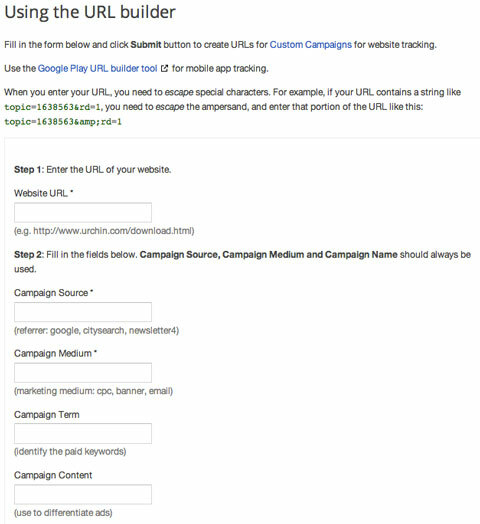 The URL uses custom campaign coding to show the traffic source. Using the sales funnel analogy, lead generation is filling the top of the funnel. The team set up a simple framework of driving traffic to blog posts, each of which had a call-to-action (CTA) link to a registration page. The link URL was coded so they could tell which posts the registrations were coming from. All of that information then went into their customer relationship management (CRM) system. 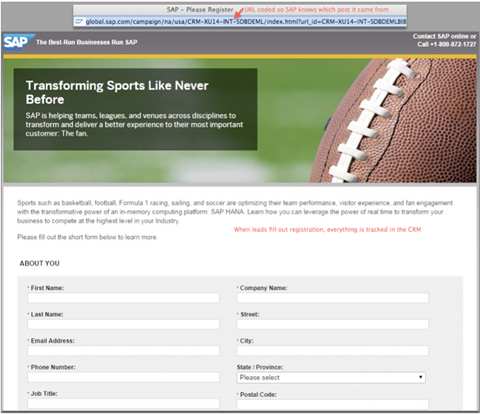 The landing page URL is coded so SAP knows which post it came from. At first, the team acted like an in-house agency, filling requests to promote specific marketing tactics. They developed the social messages, created tracking URLs and scheduled the messages. But it soon became clear that the small team could not attend to every marketing need. They shifted their approach so they now operate as an in-house consultancy, educating marketing teams on how to do it themselves. The first social media reports looked at reach, engagement and conversion, focusing on the CTA in the promoted blog posts. Initial measurements reported impressions per campaign, visitors per blog post and click-throughs to registration pages. By testing hypotheses about message content, volume and promotional timing, they established benchmarks on how social media was affecting the top of the funnel. SAP’s first reports focused on reach, engagement and conversion (click-throughs). But they would need metrics that showed how social media was affecting the pipeline to convince skeptical executives and salespeople. “Salespeople are just as important as the C-level to convince, because they don’t want to waste time on something that doesn’t progress their pipeline,” said Robinson. For a company like SAP, tracking how social media affects the pipeline is complicated by the long sales cycle. Prospects are labeled with a letter value such as A-G in the CRM system (depending on where they are in the process) and may interact with social media at any point and in different ways. 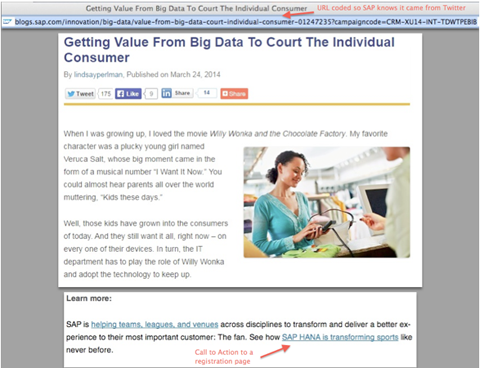 SAP began incorporating CRM tracking codes into the URLs that they shared on Twitter and Facebook. At first they could only attribute registrations back to “social” in general, but later refined the codes to refer back to individual social channels. In addition, they started specifically tracking URLs that salespeople would share with prospects and customers via LinkedIn InMails and Twitter. That’s when things got exciting. Google’s URL Builder makes coding urls easy. Marketing touched pipeline is when someone with an open deal in the SAP CRM system interacts with one of the company’s social media channels. Marketing progressed pipeline is when someone with an open deal interacts with one of the social media channels, and as a result progresses to the next level in the pipeline. Each of these has a dollar amount attributed to it based on the size of the potential deal. By June 2014, SAP North America could show that social media had touched close to eight figures’ worth of potential business in the marketing pipeline, and progressed the pipeline in the multimillion-dollar range. “Now we can tell management that we are not only filling the top of the funnel, but also progressing pipeline for our sales reps,” said Robinson. This was the point when executives and salespeople really got on board with social media. Having specific metrics that tracked salespeople’s activity on LinkedIn, for example, and knowing that it was driving a specific dollar value of potential revenue was a game-changer. Based on these results, SAP North America is now more focused on social selling. They are equipping their salespeople with relevant content and tracking their interactions. This isn’t to say that SAP has solved all of the tracking and attribution issues. One of the biggest challenges is hiring and training the next generation of hybrid digital marketing analysts that know web, social and CRM data intimately. Robinson calls them a “hot commodity.” They are hard to find because they’re in such high demand. Finding how to accurately attribute credit to the myriad of social and other channels that prospects interact with is also a moving target. SAP has a group of data scientists that develop the sophisticated algorithms for attributing credit. What if you’re a small business? You don’t have to be an enterprise-level B2B company to track your results, however. Robinson’s advice to small businesses is to break down the silos related to your digital experience. “It’s impossible to measure pipeline touch unless everything talks to everything else,” he said. 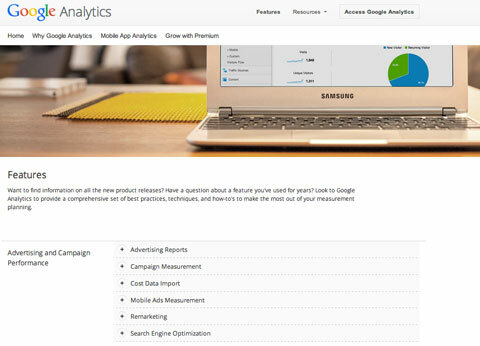 Google Analytics has a number of features to help track your traffic. Next, get a handle on your web analytics. Robinson suggests starting with Google Analytics. Find out where traffic is coming from and see whether social media is driving traffic to your website. You can then set up goals such as downloading a white paper or subscribing to your email list. The key is to integrate Google Analytics with marketing automation or your CRM system. “Look at your web analytics in the same place as your customer information, so you’ll be able to look at sales, how many customers you have and how that lays on top,” he said. “But the fact that we can prove we’re influencing potential revenue causes executives to … continue investing [in social media],” he added.